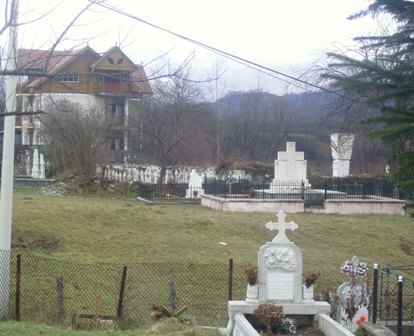 at the rear of the graveyard. 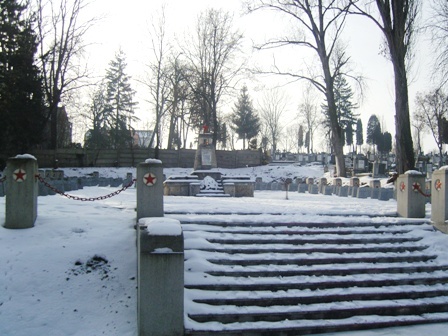 In this graveyard I found one Communist period Military related Grave. 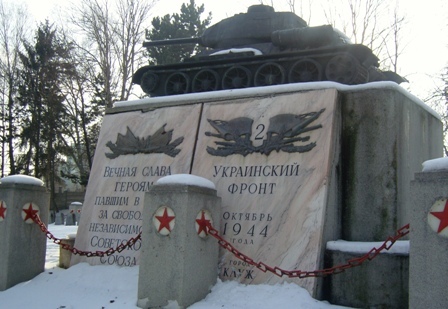 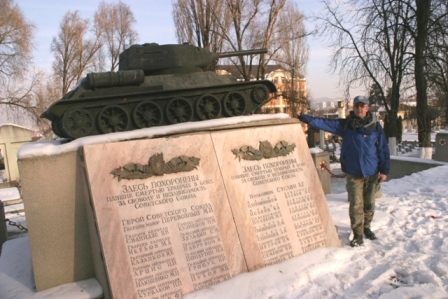 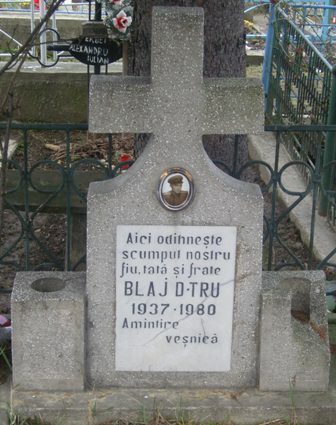 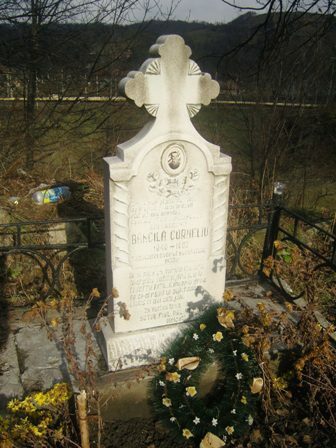 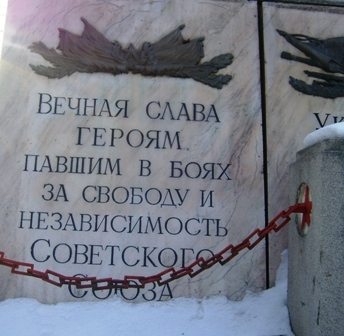 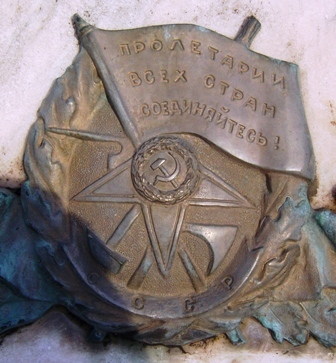 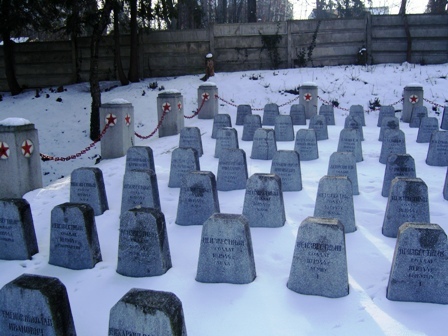 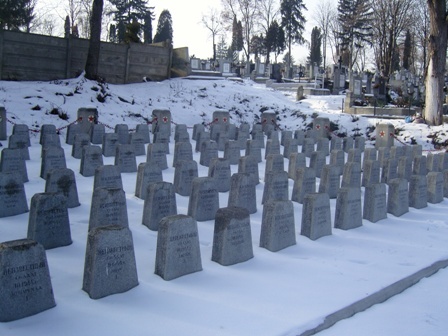 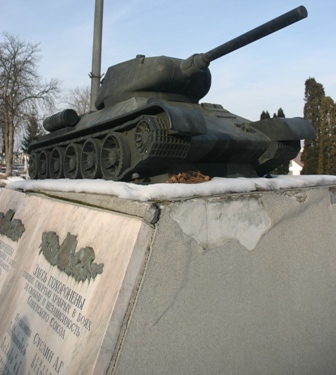 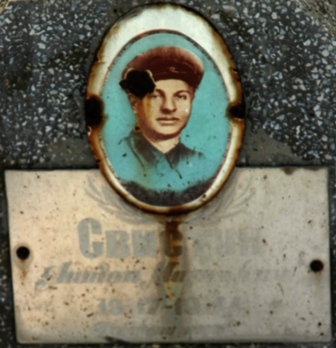 Romanian Popular Republic (R.P.R) period of 1947 to 1965.
in the Military Section of the "HERO'S CEMETERY" located in the Romanian Town of Cluj-Napoca of the SOVIET SECTION. 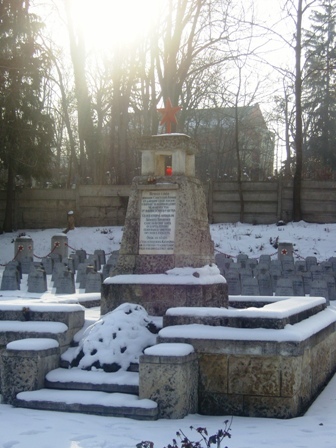 The Russian section is located on a slight rise to the left of the entrance gates, preceding this are sections with Romanian, German and Hungarian graves of WW2 as well as the graves of people killed in the 1989 Revolution. 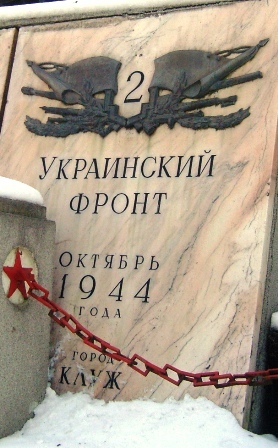 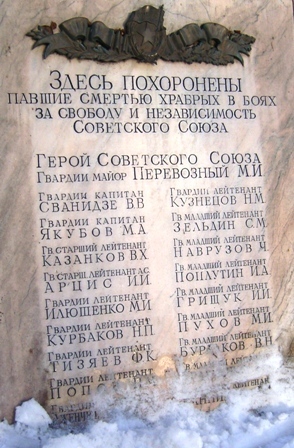 Located at the top right front of the steps is this monument. 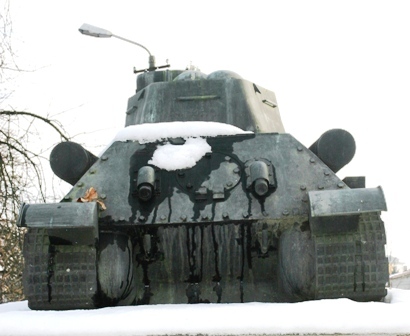 By the way its hollow Bronze!! 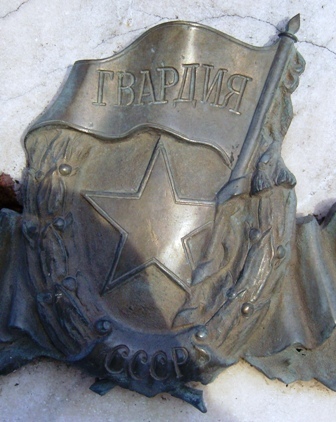 Detail from Rear panel left. 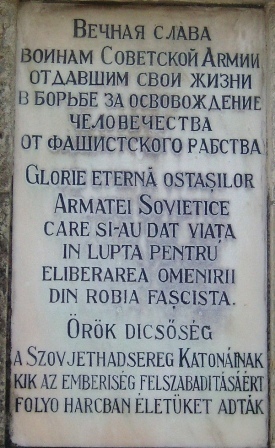 Detail from Rear Panel Right. 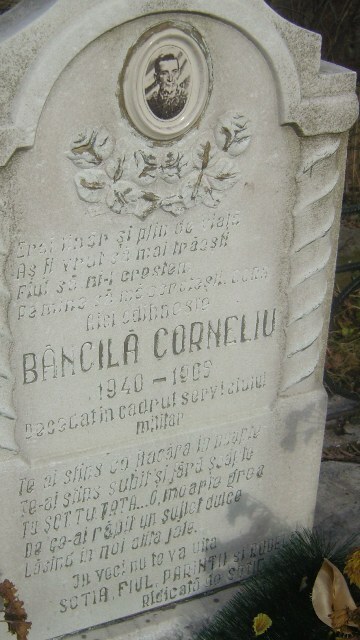 so will re-take the picture for better detail. 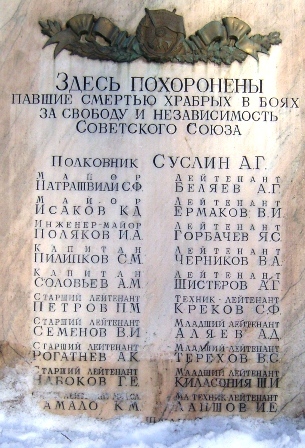 with list of names of the Fallen. 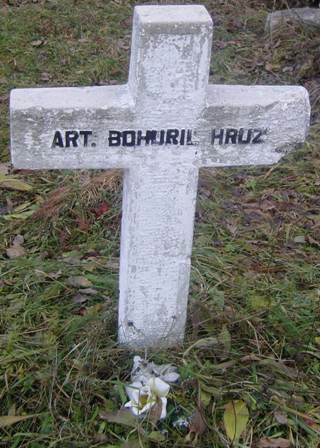 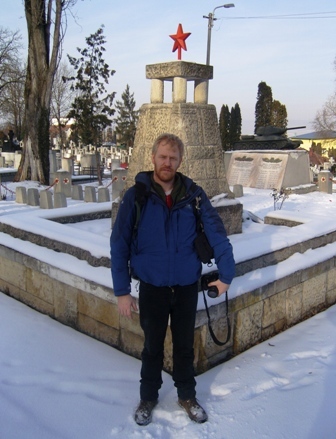 killed in th fighting in the area of Cluj-Napoca. 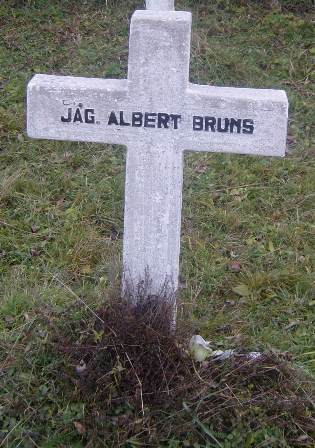 These other markers I suspect were for the "poor bloody infantry"
more markers to the Fallen. 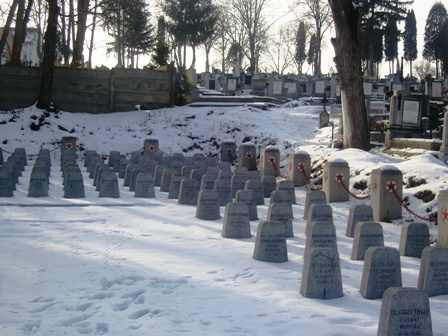 These headstones / markers form a 3 sided shape around a central monument. 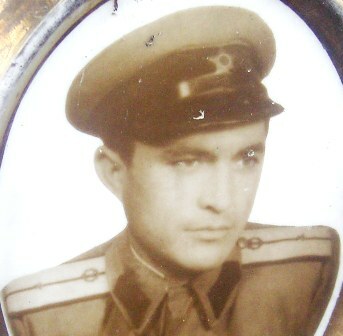 Russian - Romanian - Hungarian. 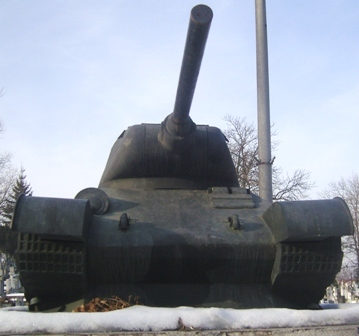 the people of Romania from the evil fascists and wishes them Eternal Glory! 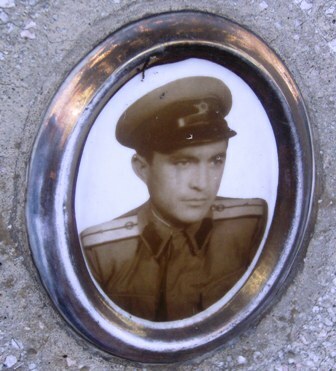 One of the Russian heroes! 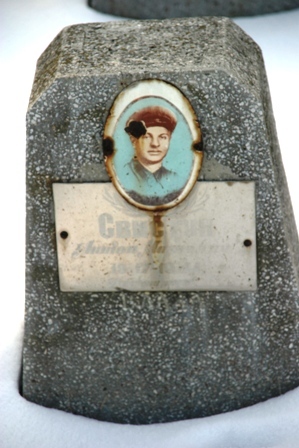 Close up of the enamelled plaque. 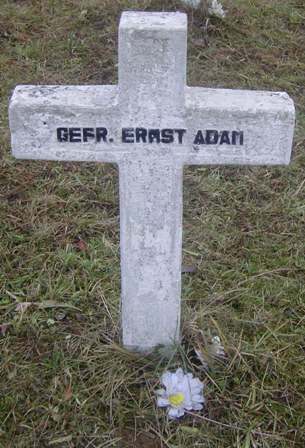 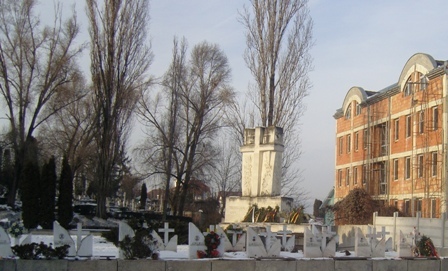 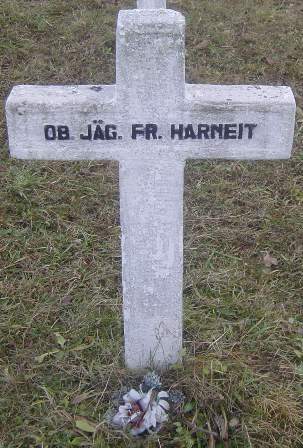 the Romanian - Hungarian - and German Headstones.